Let's recommend good games that are on sale! I thought this would be a nice way to find new games and spend… I mean save some money! I’ll go first. Adventure games: Cognition for 2.69€. A great murder mystery point-and-click game. Kinda underrated in my opinion, it has a really good plot full of twists and good characters. The Longest Journey for 2.89€, an old point-and-click classic that still is one of the greatest masterpieces of the genre. It has so much fantasy, magic and wonder balanced by science, logic and machines that the player can’t help but fall in love with it. Ether One for 4.39€ is one of the best “walking simulators” out there. It has an amazing plot with a really surprising twist and it WILL make you cry. Also the puzzles really clicked with my brain at least. Syberia for 1.79€, also one of the point-and-click classics, also will make you cry and has amazing story, characters and world. To balance these other games out, Deponia for 1.79€. It’s a really good point-and-click game with great puzzles and humor that I absolutely loved. Last Door for 1.79€, a Lovecraft-esque horror adventure with pixel graphics that has really great atmosphere and story. I never knew pixels could be so scary! The Dark Eye: Chains of Satinav for 2.09€, another underrated point-and-click game that holds a really special place in my heart with its lovely characters and great plot and writing. Action: Dust: An Elysian Tail for 2.69€. A 2D scrolling platformer made by just one super talented person! The combat is really fluid, the graphics are super beautiful and, surprisingly, even the story is very good. Bastion for 3.39€, really now, if you haven’t played it yet, shame on you. It’s a masterpiece. I still regularly listen to its soundtrack. Hotline Miami for 1.39€, awesome crazy soundtrack, great action, makes you question violence and also makes you feel like you did some drugs if you play it too much at 3 am. RPGs: The Witcher for 1.39€. Many people didn’t really like it for its quirks but they just made me love it more. It was an indie game that really blew the bank. Just look at Witcher 3 now! The Legend of Heroes: Trails in the Sky for 8.79€. One of the best JRPGs I have ever played. I love it so much it’s hard to write anything about it. The first couple of hours can feel like a chore but then you fall in love with it and never wanna let go. Legend of Grimrock 2 for 7.39€, the best dungeon crawler there is and one of the best games ever made in my opinion. Exploring the world is just so exciting, everything is done so right, the puzzles are really good and god I love this game. Legend of Grimrock is also on sale for 2.69€, if you haven’t played it, you should start there. It is also super good, then 2 comes and just takes everything that was good and makes it even better. Shadowrun: Dragonfall for 2.69€, a ridiculous price for one of the best games ever made. The world, characters, story and combat are all done flawlessly. Others: Prison Architect for 9.39€. I’ve played it for over 60 hours and it’s a really great simulation game. Besides building, you have to balance keeping your prisoners happy enough without risking them escape. It’s really well made and deep. Oops, this got quite long. What’s your recommendations? It looks like a large Steam sale starts next week. DROOLS oh no my wallet oh no!! 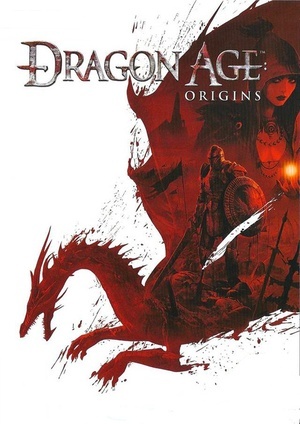 Oh hey - Dragon Age: Inquisition is on sale for $10 right now!!! I think that’s the lowest I’ve ever seen it. Origin store is having a huge sale on stuff, so if there’s any EA games you want, go check it out. Both great games. Must buy if you haven’t already! The latest title in the Ubisoft 30-year anniversary monthly give-a-way is Rayman:Origins. 75% off on Steam right now. 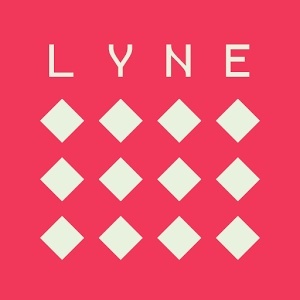 It’s not on sale but Lyne on steam is only $2.99. Relaxing game with lots of levels. Worth checking out. A puzzle game from Thomas Bowker. 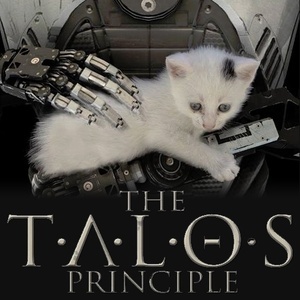 Robot themed games on Steam, including The Talos Principle. A first-person puzzle game with a focus on philosophical quandaries. The latest title in the Ubisoft 30-year anniversary monthly give-a-way is Far Cry 3: Blood Dragon. You can grab it on 9 November. If you don’t already have this, grab it. You won’t be disappointed! Also, if you have yet to pick up October’s free game, Beyond Good and Evil, you can do so until the 8th. I still need to pick up that game. Rayman Legends too! Wow, thanks for the reminder! I signed up to uplay a few weeks ago just to get Beyond Good and Evil for free, in fact, and now I’d nearly forgotten. Bloodborne Complete Edition is on sale in the PlayStation Store. For those who already have Bloodborne, but not the DLC, The Old Hunters is also available on sale. For those who already have Bloodborne, but not the DLC, The Old Hunters is also available on sale. I might have to get the DLC. I normally play through Souls games a couple of times, and I haven’t gone back to Bloodborne yet. I’ve heard the DLC is really good, so maybe I’ll give it a try. DiRT 3 is currently free on the Humble Store, with roughly 40 hours left to redeem. Gone Home is free this weekend. Great storytelling in game form for anyone who hasn’t played it yet.